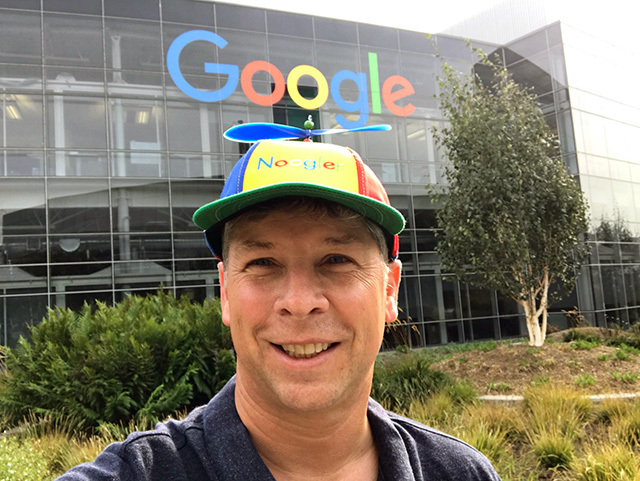 It is still weird to think of Danny Sullivan as a Googler but here he is wearing the Noogler hat after graduating from the week of Google orientation. The Noogler, new Googler, hat is wore by new Googlers their first week. It is a long tradition. And here is Danny partaking in that. He shared the photo on Twitter and said "Officially a Noogler graduate. But still so much to learn as I dive into Google Search from behind-the-scenes...."
A bit more details over here with his Noogler team.